Last we saw, The Incredibles were taking it easy on a tropical vacation. Pixar released a cute poster for the upcoming Incredibles 2 (which has seemingly dropped the ‘The’ from the title) where the superhero fam was lounging by the beach with some unusual face tans. But summer vacay is over, and the world needs saving. A new poster for the Brad Bird sequel finds the Parr family suited up and back in action. Everyone’s here in their classic red, black, and yellow super suits, and even Jack-Jack is flexing his new powers, burning some laser beams into a frightened raccoon (as a big fan of Meeko from Pocahontas as a kid, I am more than pumped to see another adorable black-and-white creature from the Mouse House). 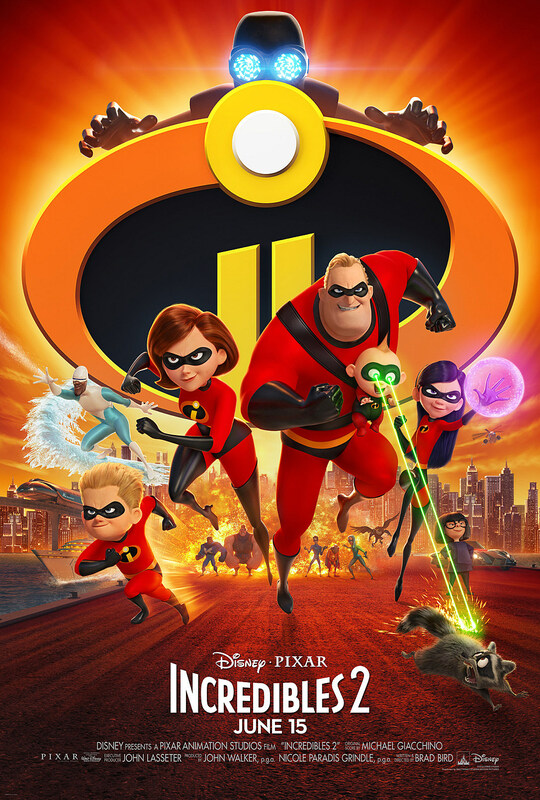 Samuel L. Jackson’s Frozone makes an appearance on the poster, along with the Bird-voiced Edna Mode, the new mysterious villain up at the top, and a peek at some new characters in the background. All the way to the right is Sophia Bush’s character Voyd, a teal-haired “wannabe” Super who’s a massive Elastigirl fan, and next to her are handful of new superheroes, including a guy with crazy biceps and a flying monkey-man? No idea, but with a new trailer set to be released tomorrow, we should meet them in no time. Incredibles 2 hits theaters June 15.